Hours spent fishing on a favourite lake and mulling over an unhappy romance gave Harry Harefield the idea of jotting down his thoughts in poetry form, as well as the inspiration for a pen name. Once he had started writing, the ‘genie was out of the bottle’. 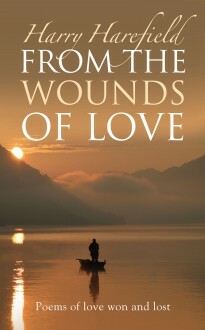 From The Wounds Of Love is the result.